Pet health is becoming increasingly important in Korea with new products and services such as pet insurance being launched in the country. The rise in animal care institutions and products has been attributed to the rising number of pet owners in a country where it was not uncommon to eat boshintang, or dog soup, a couple of years prior. With rising income, changing times, and shifting perspectives on animal rights, more than 10 million Koreans currently have pets. The number of animal pets has grown 83 percent from 4.7 million in 2010 to 8.7 million in 2010. Pet-related industries have also been growing at 16 percent annually with the NongHyup Economic Research Institute estimating it is increasing from 3.6 trillion won this year to 5.8 trillion won by 2020. Despite the explosive growth, services aimed at pets have been criticized for being insufficient. Pet insurance has been called particularly lackluster with many owners citing that they struggled with financial difficulties regarding cases of dog bites and accidents, as well as animal surgeries due to a lack of pet insurance. Currently, the annual premium of the domestic pet insurance market stands at about 1 billion won. The subscription rate is also insignificant, at 0.02 percent. Against this backdrop, the Korea Insurance Development Institute (KIDI) announced earlier this month that it is working to create the nation’s first pet insurance. With the new insurance model, dog and cat owners can get about 1.5 million won ($1,340) by paying 20,000 won a month, among other benefits. Animal hospitals dedicated to diagnosing and treating pets has also been rising in the country. 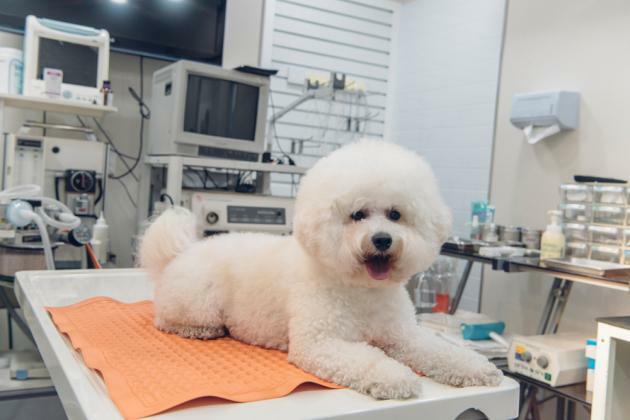 According to the Korean Veterinary Medical Association, there were about 4,500 animal hospitals nationwide as of October 2017 with 3,200 of them offering diagnosis services. The numbers have been increasing, with more than 200 new animal hospitals established in the past year and four months, indicating a 7 percent growth. About 95 percent of all animal hospitals, or 4,200 of them, were established by a vet. The number of vets working at these hospitals also grew nearly 12 percent. About 6,800 clinical veterinarians worked at an animal hospital, indicating there was about one vet for each animal hospital. By region, Gyeonggi Province had the most animal hospitals with 1,093 institutions, followed by Seoul with 857, South Gyeongsang Province with 313 places, North Gyeongsang Province with 303 locations, Busan with 245 sites, and South Chungcheong Province with 220 institutions.